This report makes the case for a locally-led industrial strategy. It argues that to turn a national industrial strategy into local economic renewal, places and their leaders should be provided the space and powers by government to lead from the front. In short places should take control of their local industrial strategy, with greater influence over the effects of globalisation in their area and augmented powers to encourage greater economic prosperity. The report’s foreword is written by Rt Hon Greg Clark MP, Secretary of State, Department for Business, Energy and Industrial Strategy. Strategic authorities should lead the industrial strategy locally. It is essential that the industrial strategy is led at a scale where the factors that affect local growth manifest themselves and are thus most effectively influenced. 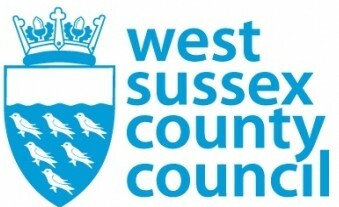 Strategic authorities would most commonly be a formal collaboration of local authorities with an elected strategic lead, for instance mayoral combined authorities, elected assemblies or county councils (we have identified what we believe to be the minimum spatial configuration upon which strategic authorities should be established). Although recent administrations have made progress in establishing collaborative governance across the country, for instance in the West Midlands and Greater Manchester, the devolution deal process has left two-thirds of the country without a strategic authority. The industrial strategy must address this matter urgently. 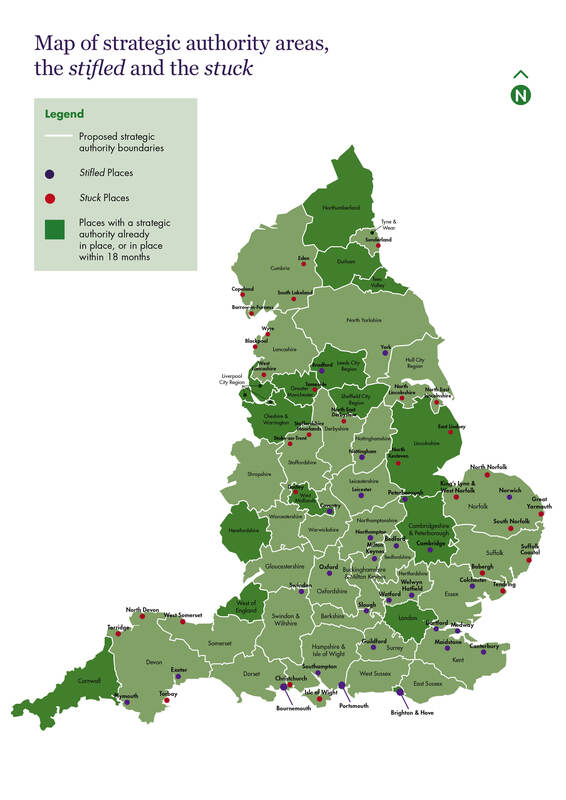 It is essential that every village, town and city in England is covered by a recognised strategic authority. Whilst places should be given time to set these authorities up locally, government should not tolerate extended periods of inertia. If local councils in an area can’t agree on the creation of a strategic authority, then central government should. Places need new powers to deliver growth and share its benefits more widely. Government should create an industrial compact which provides all strategic authorities, once established, with the tools to succeed and lead the industrial strategy. The compact should transfer specific powers over local labour markets, the planning system and local transport networks, enabling strategic authorities and their leaders to overcome barriers to growth and compete with their global counterparts. Avoiding the attrition of negotiation that affected city and devolution deals, power transfer should be automatic. Strategic authorities should also be granted greater fiscal flexibilities with which to raise revenue for infrastructure and deliver more redistributive growth. To do this, government should establish a series of fiscal devolution pilots in strategic authority areas across the country. A shift in policy focus to small towns is needed. Our research identifies two sets of places which require special intervention in the industrial strategy. Firstly the places that are growing quickly but whose growth is restricted by their boundaries – the stifled. Secondly the places that are still dealing with the fallout of the industrial trauma of the 1980s – the stuck. Both typologies are of increasing political importance. Successive government have made significant progress addressing the social and economic issues of inner city boroughs, but there now needs to be a recalibration of policy to include the small towns of England and their rural hinterlands. Demographic challenges are changing the shape of the labour market. The challenge of an ageing population is immense and should be tackled head-on in the industrial strategy. For instance young people, namely 25-34 year olds, are hugely important to a place’s growth and wealth creation. Each local industrial strategy should have measures in place to attract and retain this demographic. Strategic authorities should also have in place strategies to ensure its older population remains economically active for longer. Local economies need to flex their capacities to meet the needs of people to remain employed for longer. For the industrial strategy to be successful it must address the underlying political imperative behind it; the need to see growth and its benefits shared more widely. We argue that to achieve this the industrial strategy must put place at the centre and be led locally. We explain precisely who should be responsible for leading it and organisational form they take. We also make clear how places currently can take a leading role and how they should be strategically planning for future economic growth. However, there remains a limit to the value which can be created without additional powers being devolved. Now is the time for government to give places the opportunity to help themselves so that everywhere has the potential to play an important part in a great economic renewal. We envisage five key government actions to bring the industrial strategy to life, outlined below. 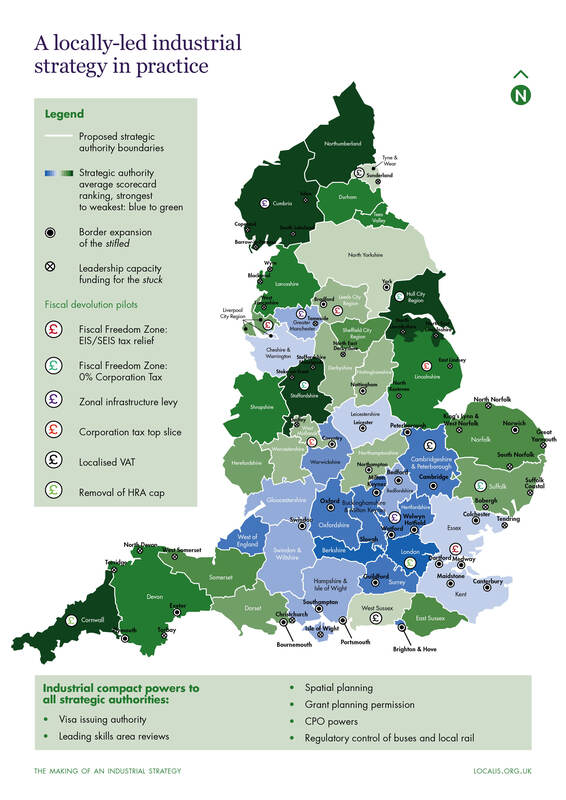 We have also illustrated what a locally-led industrial strategy can look like in practice on this action map. Each strategic authority should receive a suite of powers which will enable them to overcome barriers to growth and compete with global counterparts. Power transfer should be automatic, avoiding the attrition of negotiation that affected the city and devolution deals. A selection of the key powers is included below. Strategic authorities should process and issue all visa applications for people who want to work and study in their area. The strategic authority would become the co-sponsor of each visa, alongside the relevant business or university(s), and would be empowered to respond to shortages in local labour force capacity whilst working in tandem with the local university(s). This would give local areas greater control over the immigration levels in their area and encourage politicians to debate the issue honestly with residents over the benefits and drawbacks of immigration. As is the case in London, strategic authority leaders should be given the power to grant planning permission on sites of strategic industrial importance. This would in effect operate as a ‘call in’ power on stalled or rejected development sites, overriding local political objection. In places where they do not already, strategic authorities should be given regulatory control over their local transport networks. This should include control of local bus services and local suburban rail services across their geographies, and in each case the strategic authority should act as the local transport authority. From 2018 government should replace European structural funds and the Local Growth Fund with a single pot, the Accelerated Growth Fund. While government should set the national priorities this fund should target – and where relevant, honour existing agreements – its allocation mechanism should be devolved to strategic authorities, who are best-placed to identify their local structural barriers to growth. As part of this, strategic authority chief executives (or similar) should become the accounting officer for the Fund. For a local leader to govern a place to its full economic potential, they must be given greater fiscal flexibilities, particularly if they are being encouraged to take a lead on revenue generation. We make a number of recommendations that would enable the creation of more competitive local economies. The abolition of nationally-mandated business rate relief for charities. Local authorities should have the sole power to offer rate relief at whatever level they deem appropriate for their area and local economic competitiveness. To attract venture capitalists to an area, tax reliefs offered as part of the Enterprise Investment Scheme (EIS) and its subsidiary Seed Enterprise Investment Scheme (SEIS) should be enhanced to 60% and 80% respectively. To encourage investment from large international businesses, corporation tax should be waived within FFZs for firms new to the country setting up head-quarters in the area. Despite their differences, stifled and stuck places share the problem of capacity. For the stifled, it is literal geographic capacity – there isn’t enough land on which to build. For the stuck, it is leadership capacity. Those we classify as stifled should have the right to petition government for a boundary expansion. Government should then consider whether a boundary should be redrawn to allow the stifled places additional land drawn from a neighbouring authority in order to meet demand for housing and economic development. Government should create a Growth Leadership Capacity Fund to support the stuck. Areas would then be able to bid for funds in order to bring in additional support to help develop leadership capacity. One commitment made in the government’s industrial strategy green paper is a Cabinet Office review of the location of government agencies and cultural institutions. Complementing this, we believe strategic authorities should be given a statutory right to propose public sector relocation. For instance, Leeds City Region could propose the relocation of the Department of Health, Health Education England and additional elements of NHS England. This would build on the city’s health innovation sector. Where are the stifled and the stuck? This research project was supported by an Advisory Panel, whose members are listed below. Advisory Panel members attended two editorial roundtables and provided comments on report drafts. They may not necessarily agree with every analysis and recommendation made in the report. To find out more about this research project please contact jack.airey@localis.org.uk.